If you’ve ever thought about joining the Heard Museum Guild, the museum’s dedicated corps of volunteers, a general membership meeting is held on the third Wednesday of each month from September to April, except December. After a social from 9:30 to 10 a.m., a featured speaker takes the lectern from 10 to 11 a.m., followed by a business meeting from 11 to 11:30 a.m. Come and meet some of the people whose time, talent and energy are indispensable to making the Heard such a special place. 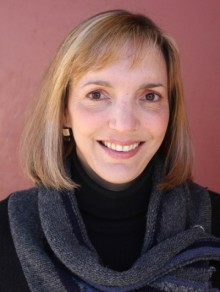 In April, the speaker is Ann-Mary Lutzick, who has a long association with the Arizona Humanities Council. She has been involved with the Humanities Council since 1999 and has been part of many traveling exhibitions. Lutzick owns the Old Trails Museum and Gallery in downtown Winslow, and her husband is the manager of Winslow’s La Posada Hotel. She will talk to us about La Posada, its development, architecture and history. The Fred Harvey family will be a major subject of the morning.